With blogs being cited by everyone from journalists to CEOs, it's surprising so many people have misconceptions about what blogs are, who write them, and what they are used for. There is still that common idea of a blogger being a grumpy, stained-shirt-and-suspenders eccentric armchair movie critic, watching films only to pan them with a pen in hand. Or young high school-ers strolling home through sunflowers, only to deliver yet another mundane diary-style trifle triviality. 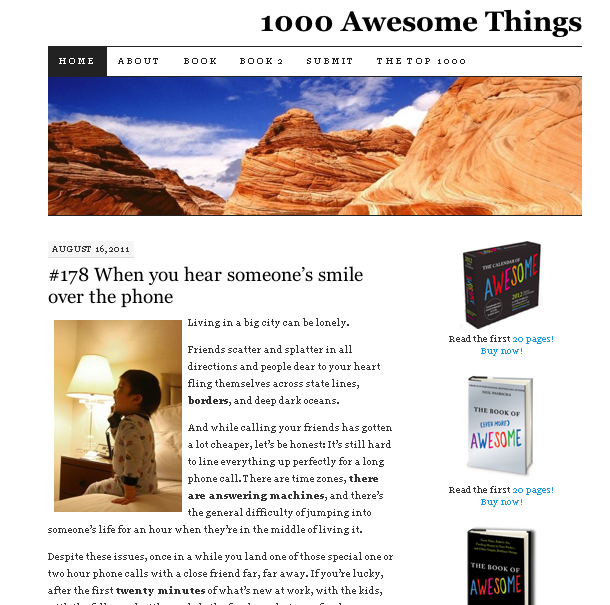 A personal favorite blog of mine is called '1000 Awesome Things'. Written by Neil Pasricha, the blog is a daily countdown of awesome things. While being a vastly simple idea, the blog has gained worldwide acclaim for it's bringing optimism or a second of reflection to the every day. Having started a blog, Pasricha has gone on to pen 2 books, The Book of Awesome, and the aptly named follow-up, The Book Of (Even More) Awesome. For those looking to get into reading blogs, or just surfing blogs, the '1000 Awesome Things' blog is simple, straightforward and daily, and I often find a source of both inspiration and daily chuckles. As a contrast, consider 'The Huffington Post'. Simultaneously a news website and blogger's publisher, The Huffington Post was started by millionaire socialite Arianna Huffington and quickly become part of the mainstream media. In a few years, the post went from underground news aggregate, to one of the web's most influential dailies, offering up articles from both columnists and celebrity bloggers. 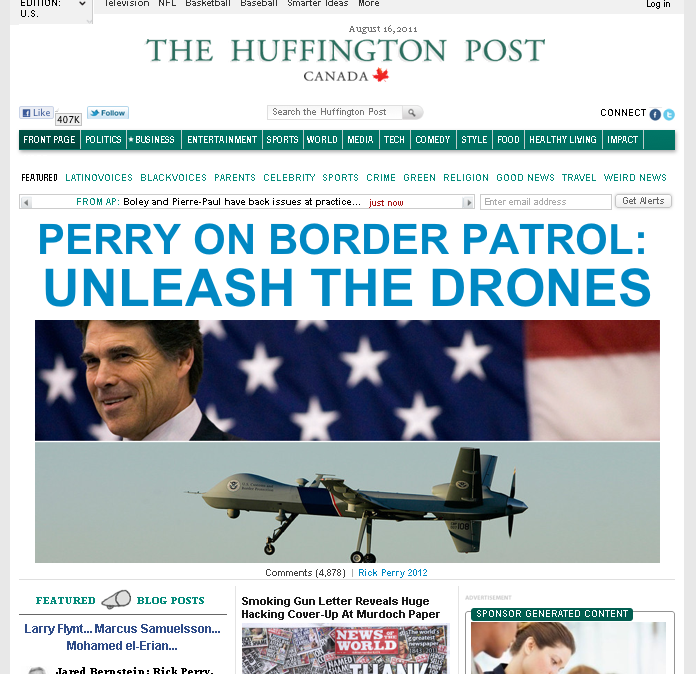 The Huffington Post might have legitimized the Internet blog. Well, kind of. All blogs are websites, although the opposite isn't true. So, a blog can be news and personal? A blog can be many things. News. Diaries. Photo Galleries. Celebrity Gossip (I'm looking at you TMZ). It can even be a companies' way of getting out new information about products. That used to be true. But like the rest of the Internet, blogs can now safely include pictures, video, audio, and almost anything else you can think of. A big reason blogs like the Huffington Post have become so popular is that they do a very good job of generating hits on search engines. If a blog posts daily, those new, fresh hits are more likely to come up as a current search result. And of course, the Internet rules are as follows: Better hits mean more visitors, and more readers, which means more comments and a stronger community. So don't hesitate. Sometimes the best way to get used to a pool, is to jump in the deep end.